Crime and deception in not new to corporate India. The scale is. – A SOFTWARE ENGINEER goes missing in the Baltic. – AN UNSCRUPULOUS STOCKBROKER is audaciously murdered in a crowded bar room. – A HOTSHOT CEO is accused of insider trading. When Shashi Kurva, self-made man and one of the country’s most successful CEOs, is named in an insider trading scandal, he is stunned. Utterly blindsided, he makes desperate attempts to prove his innocence and identify the real culprit, only to stumble upon a conspiracy that hits far too close to home. 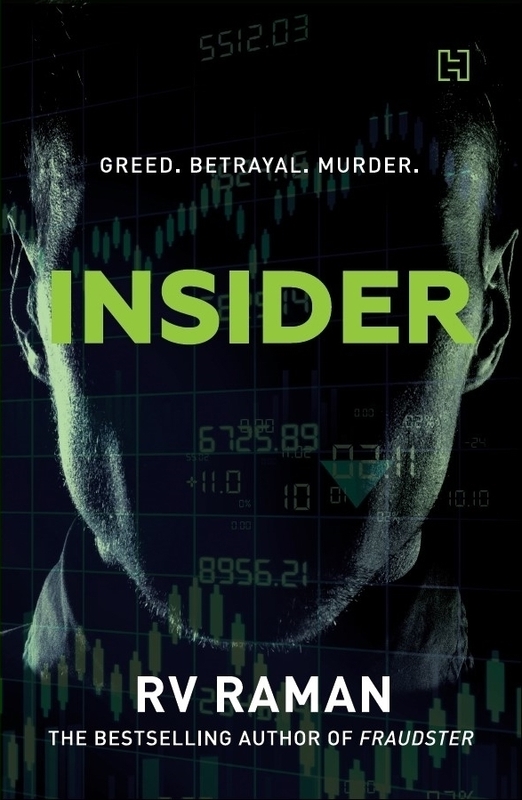 Racing between the boardroom, a stockbroking firm and a shattered family, Insider is a tale of duplicity and avarice, manipulation and murder, that takes you into the murky depths of the Indian stock market and data analytics, where profit is the only object, and money the only language. Enter your email address to follow RV Raman and receive notifications of new posts by email.